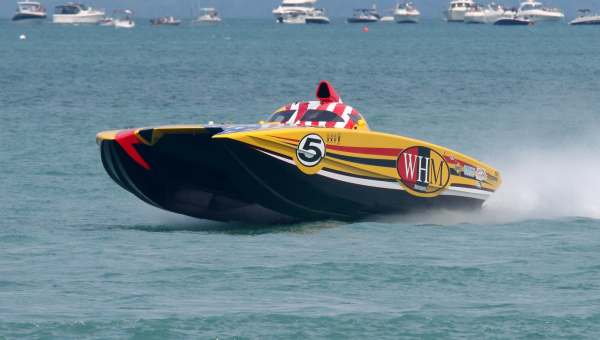 In a spectacle of speed and sound, some of the world’s fastest offshore powerboats will zoom across Lake Michigan as thousands of spectators watch from the shore in Michigan City’s Washington Park. The colorful racing boats reach speeds of up to 200 mph as they cut across an ever-changing course, challenged by wind and waves. 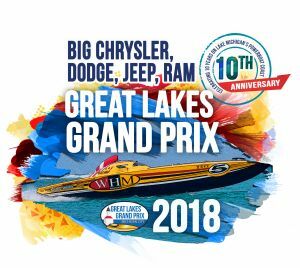 Michigan City is celebrating the 10th anniversary of the three-day, award-winning event, officially titled the Chrysler Dodge Jeep Ram Grand Prix presented by Blue Chip Casino, Hotel & Spa. It’s part of the thrilling summer race circuit staged by Super Boat International, North America’s top organization for the sport, and includes a host of special activities on land as well. 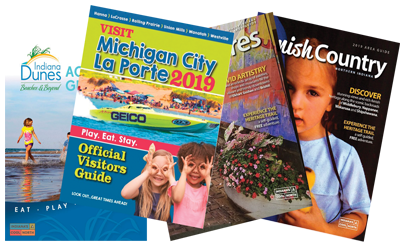 The annual boat parade, live bands, food vendors, the Taste of Michigan City event and other activities will give racegoers plenty of options. Beach volleyball fans can cheer on top players at the Great Lakes Pro Am regional championship games in Washington Park. One of the best parts of the whole event for fans is the chance to walk through the park and chat with racers, team members, and boat owners while getting up-close looks at the mammoth watercraft before they appear in the Saturday boat parade and, of course, in the actual races on Sunday. On all three days, the Dry Pits and Race Village is open to the public throughout the day and evening, as is a beer garden. Vendors sell a variety of food, drinks and merchandise in the Park. Free parking and shuttle service from the Blue Chip Casino to Washington Park is also available all three days. Local restaurants showcase their best dishes at the Taste of Michigan City both Friday and Saturday. The event is sponsored by the Michigan City Mainstreet Association in the Uptown Arts District along North Franklin Street. Friday evening, Point’n Fingers plays in Washington Park, and Saturday, Pablo’s Great Revenge Band entertains. Fill your Saturday with the Great Lakes Pro Am Beach Volleyball Tournament, the Vintage Car show by Four A’s Car Club and the highlight of the day – the Boat Parade and Block Party starting at 6 p.m., another great place to see the powerboats and meet the drivers. On Sunday, comes that time everyone has been waiting for – the races at 11 a.m. and 1 p.m. You’ll hear the thunderous sound of the powerboats and the roar of the crowd as Lake Michigan becomes the stage for another amazing race. For more information and a complete schedule.